We have been working with Dennis Eagle for many years and exclusively produce all of their commercial photography, from brochures to magazine placements and trade advertising. This week we saw the launch in Munich Germany of the new Terberg Rosroca Dennis Eagle all Electric Truck that we recently photographed for that launch. 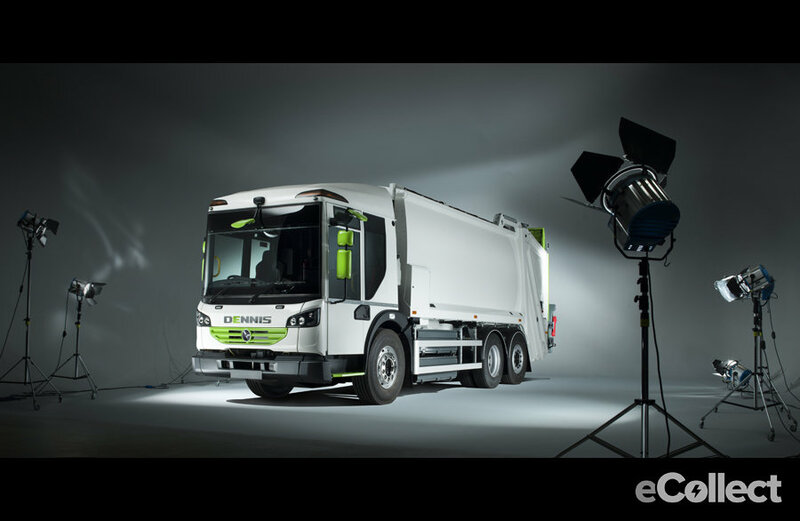 The Dennis Eagle all-electric truck is set to provide a truly zero-emission option for urban duties and commercial photographer Tim Wallace shot all the launch material of the truck in studio for our client Dennis Eagle. 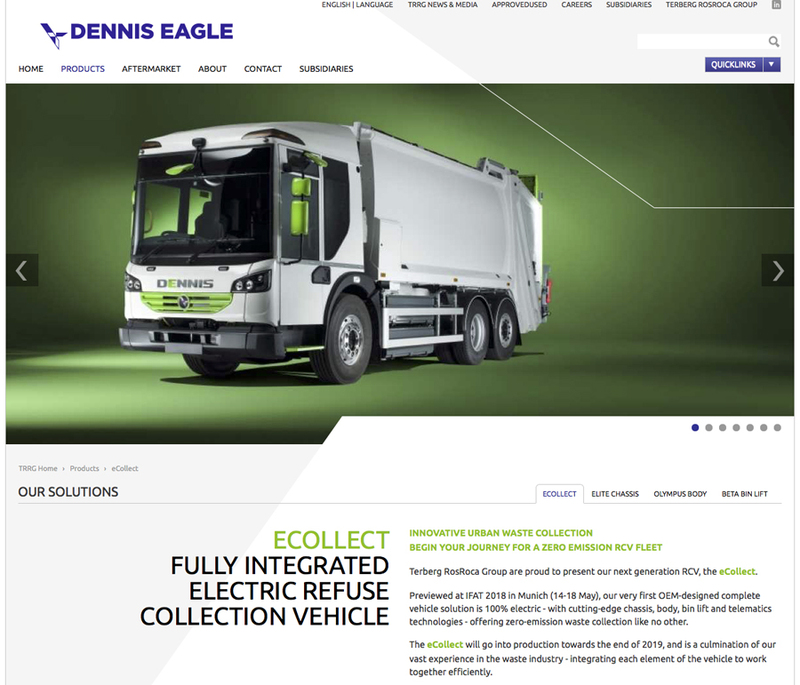 Dennis Eagle previewed the fully electric lorry at the IFTA exhibition in Munich this week, created for zero-emission, low-noise urban refuse collection. 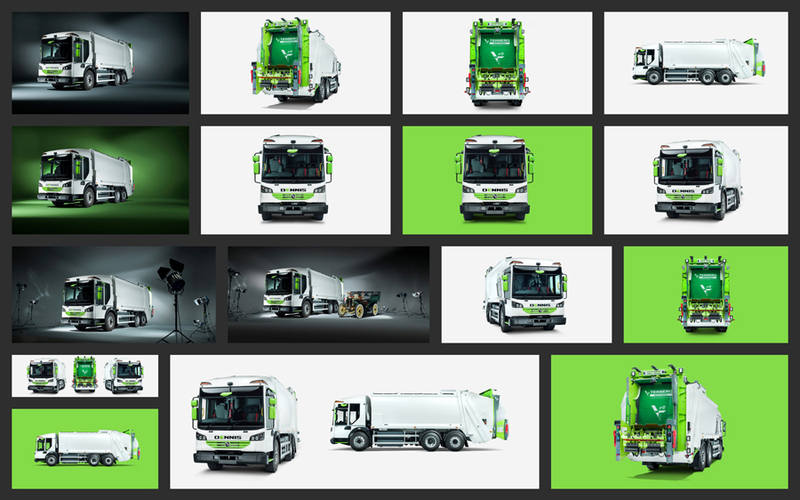 The eCollect will initially be available to buy in a 26-tonne, 6x2 rear-steer narrow (2.25m wide) configuration, a 19m³ narrow rear loading body and automatic split-bin lift. It is due to go into production in the middle of 2019, with the first units anticipated to be on the roads with early customers around quarter three/four. 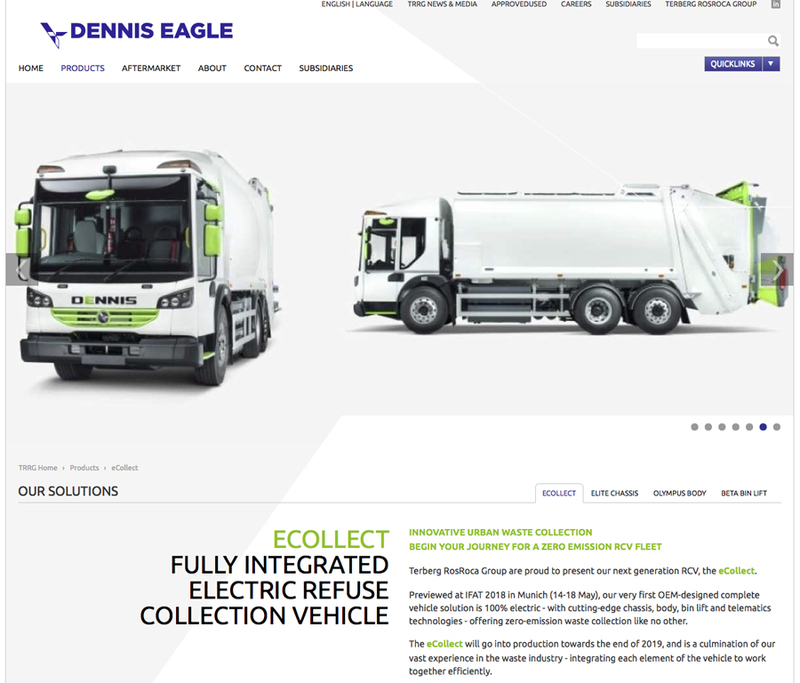 Lee Rowland, sales and marketing manager at Dennis Eagle, said the new eCollect will be the first OEM-built complete electric RCV, which has been receiving a “great response at the IFTA exhibition”. He told MT that between now and the start of production, the company will be working closely with select customers to help refine the product and understand how it can fit with their operational requirements. 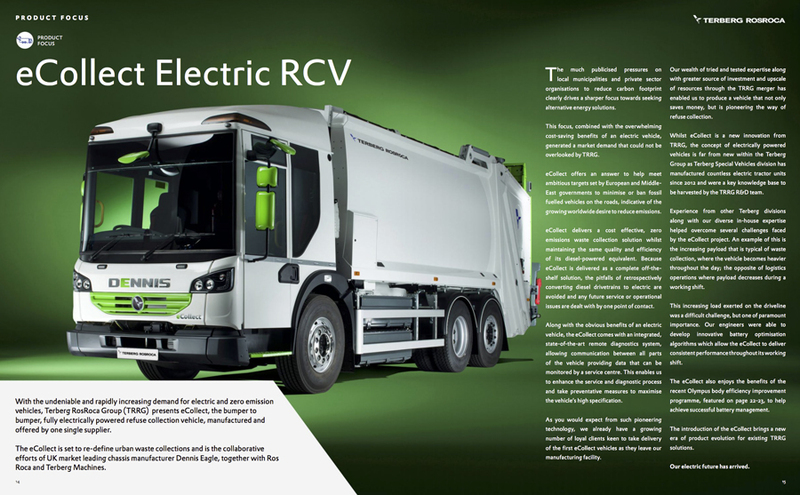 The vehicle will also undergo rigorous testing and technical verification to optimise battery management software, enabling the vehicle range to meet the requirements of urban waste collection and compare favourably with traditional fuels. Rowland said the eCollect is expected to be popular with urban operators needing a zero-emission vehicle for air pollution hotspots and clean air zone restrictions. He added it may even enable operators to consider more night-time delivery patterns, for example, thanks to the low-noise, electric technology. 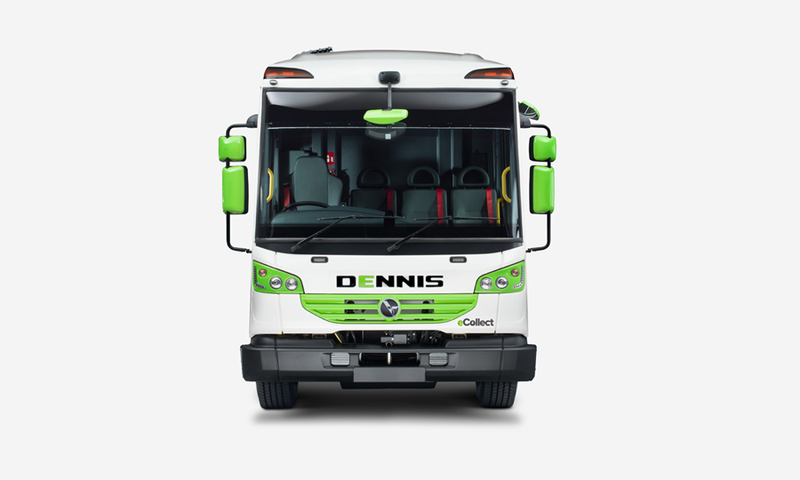 Aside from replacing the diesel engine with an electric drive system, Dennis Eagle said it has made minimal changes to the vehicle design, helping to ensure ease of maintenance, as well as product familiarity with drivers and crews.